For last nights beginners class with a focus on raising ukes elbow before turning. We practiced Hiriki No Yosei Ni movements focusing on moving everything together along the centre line in sota dosa. This ensures that we can not push or pull when turning with uke in Shomen Uchi Ikkajo Ni. 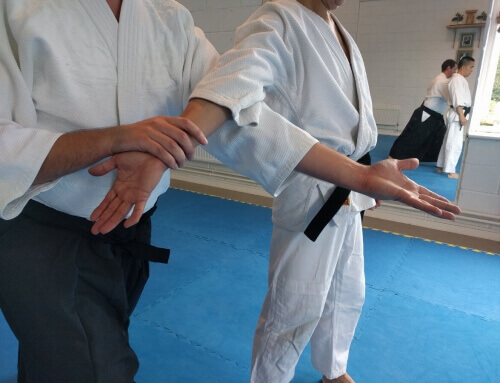 Once we had carefully practiced building the technique up slowly with good form we then moved on to hajime geiko, doing the technique at a quicker speed under pressure to allow the technique to flow without using strength.